Did you know that when dangerous weather approaches Eastern North Carolina many agencies spring into action? PAWS is one! 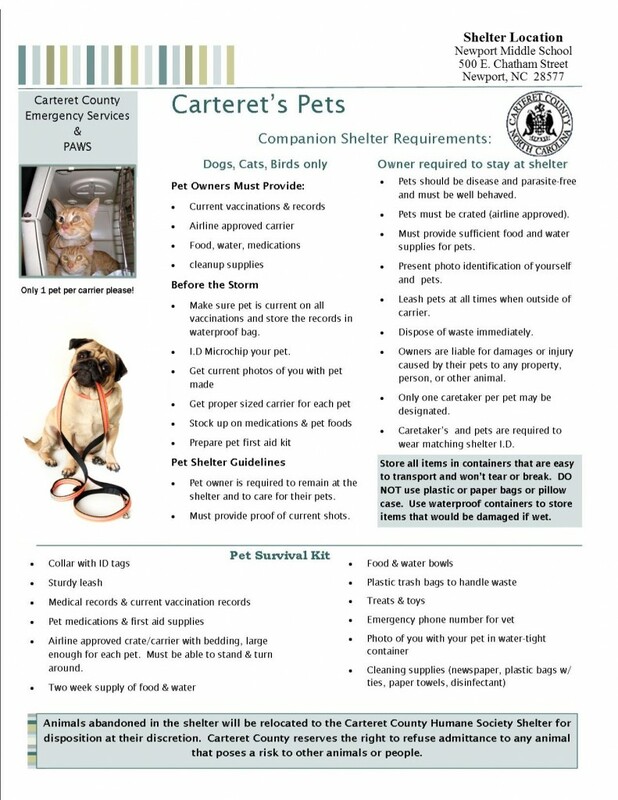 PAWS Volunteers must prepare their own businesses, homes, and pets well in advance in order to open the “Pet Friendly” portion of the Hurricane/Disaster shelter located at the Newport Middle School. People staying at this shelter may now bring leashed and crated pets but must remain at this shelter. 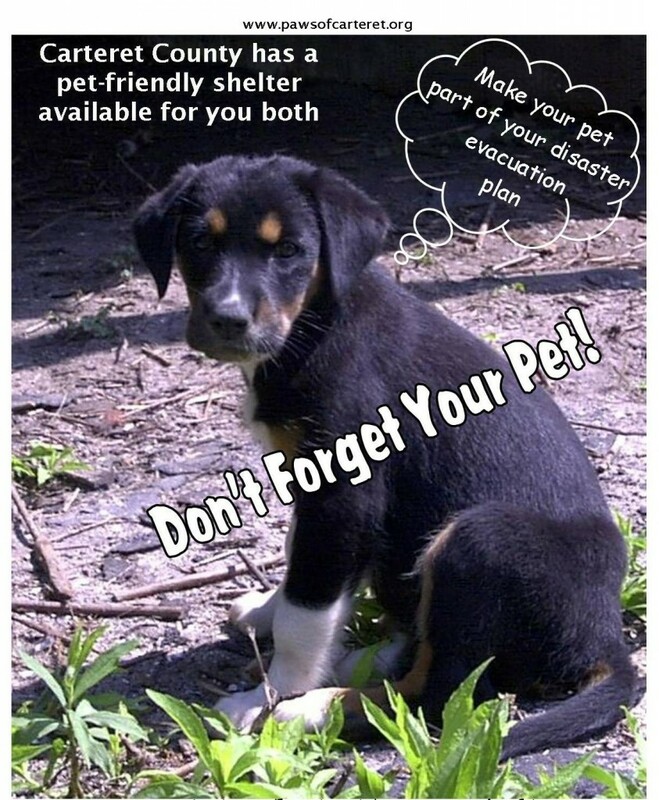 PAWS provides kennels for these pets however they must arrive in carriers, or leashed for the larger ones. The shelter requires the pets to be in a separate section from the public and PAWS provides this. Hopefully we will not have to open the shelter for Joaquin. If we do, PAWS is ready! This entry was posted on Thursday, October 1st, 2015 at 2:58 pm	and is filed under Uncategorized. You can follow any responses to this entry through the RSS 2.0 feed. You can leave a response, or trackback from your own site.